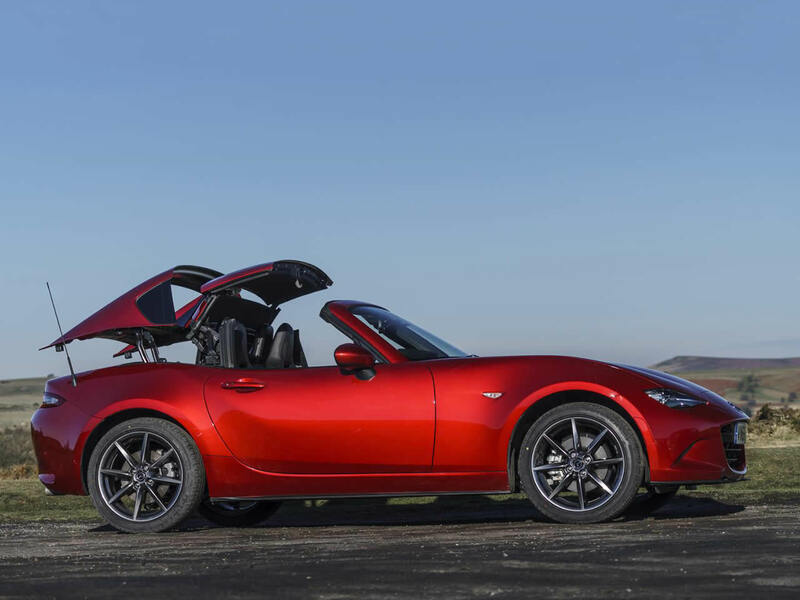 Mazda’s second try at a folding hardtop for the evergreen MX-5 Roadster takes a different stance. The Mazda MX-5 Miata RF (short for Retractable Fastback) has fixed rear buttresses which support a folding centre panel. The result is a car that looks more like a coupe than a convertible with a hardtop. It adds a few pounds to the weight but adds refinement, security and at least the perception of safety. The rear deck (including those buttresses) lifts up high and the roof folds underneath in just 13 seconds. The roof tucks away into the same space the soft-top does so there is no luggage space penalty with the RF. That said the MX-5 doesn’t have great luggage capacity anyway. There is a weight penalty of the hardtop over the fabric soft-top which is noticeable but only just. 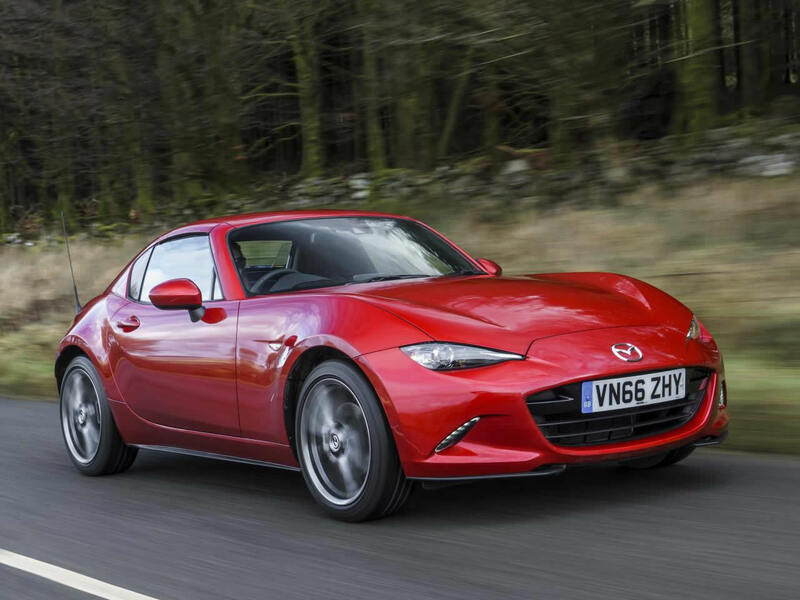 Mazda have had to retune the suspension to suit and this has made it more forgiving, more comfortable but taught in its handling thanks to thicker ant-roll bars. There is also some extra sound deadening fitted. 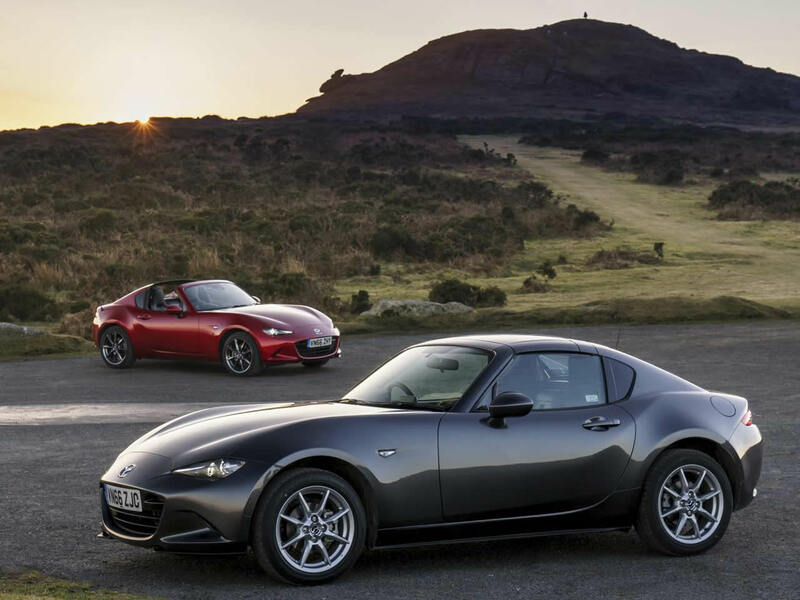 This means the RF is the MX-5 for those wanting something for regular use rather than a weekend roadster. It remains a good looking and fun sports car but is more refined for higher mileages. Over-the-shoulder visibility isn’t good with the roof up or down but the interior is less draughty with much less wind noise compare to the Roadster. Both engine choices can be fitted to the RF however like the soft-top, the zingy 1.5 litre hasn’t made it to the US market. 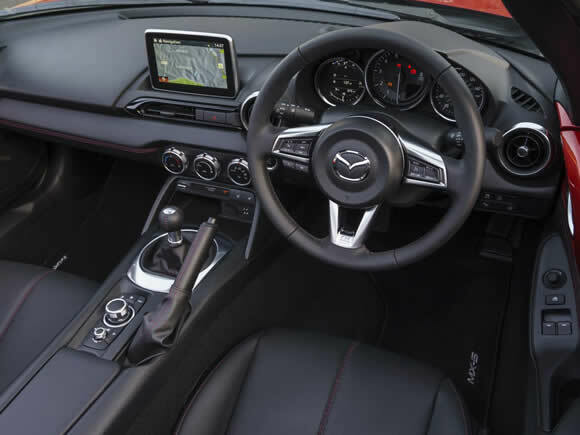 The rifle-bolt manual gearbox is one of the best on any car and a joy to use but there is also an automatic option with a manual override. 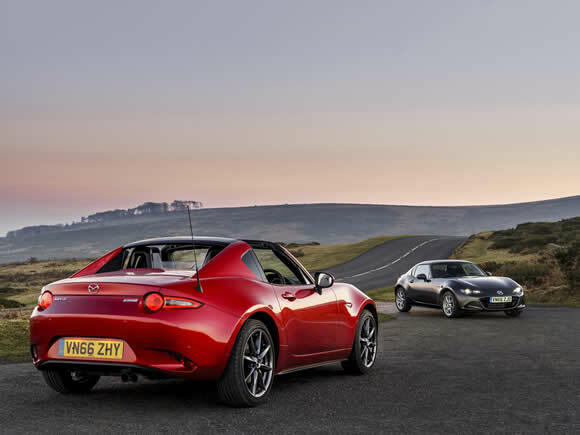 The 1.5 litre MX-5 is brisk but not quick however, its lightweight and revvy nature make it great fun to drive. 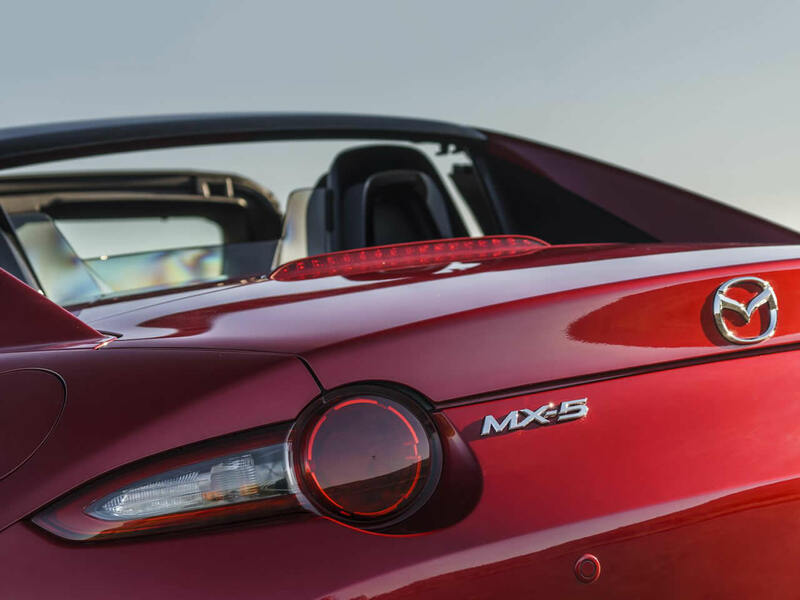 Do you drive a Mazda MX-5 Miata RF? Would you recommend it to others? Start the conversation and let us know what you think of the car.